Welcome to week 7 of Creative Space Bootcamp. This week, we’re focusing on mixed media + supplies. This is going to be one of those weeks with lots of moving parts. As it stands, I’m no where near finished. There’s just tons of stuff to deal with. Take your time and really think about what makes sense for you. Your assignment for this week is to organize all of your mixed media + supplies. If you’re looking for the corresponding posts from the 52 Weeks to an Organized Workspace challenge, here are the links. It’s all about the texture. A few too many options. Rubber and cling and acrylic, oh my! Let’s get some designs on those pages. It’s gettin’ hot in here. And if you haven’t already found it, there’s another video in the Inks, Ink Pads, Mists, & Embossing Supplies post. 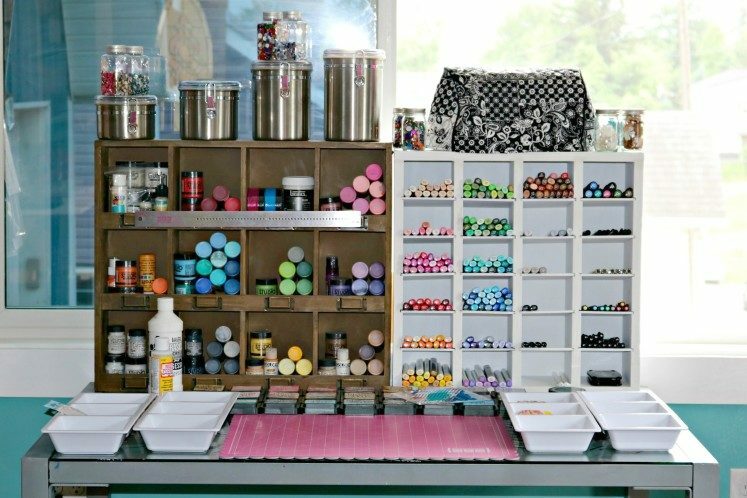 If you’re interested in how I organized my mixed media + supplies, there are lots of pics included in the posts I linked. Don’t forget to check them out. Here’s what my creative space to-do list looks like after week 7. Organize all of the photos on my hard drive. Looking for more insight & inspiration? Here are the top 10 most popular posts from The Keeper of the Memories + how to get your free printable workbook. You’re definitely not going to want to miss these!